I cannot get through the winter months without my glittens. What are glittens, you ask? Why, they’re gloves + mittens! 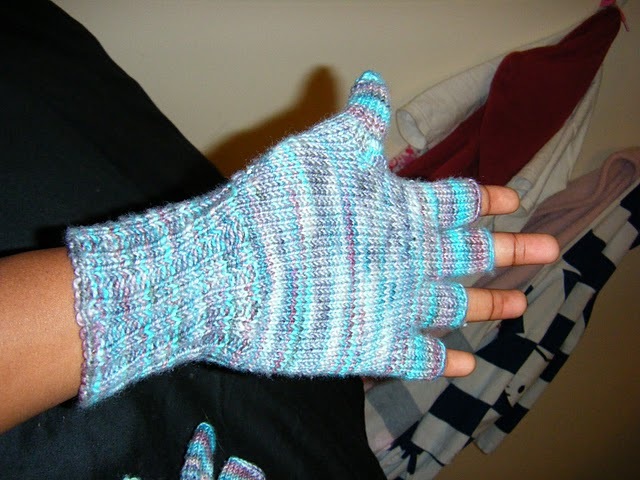 The first pair I made in 2008 and they were my first attempt ever at some sort of hand covering. I picked that yarn because I loved the combination of blue and purple, then added the cutest little star button as a closure. 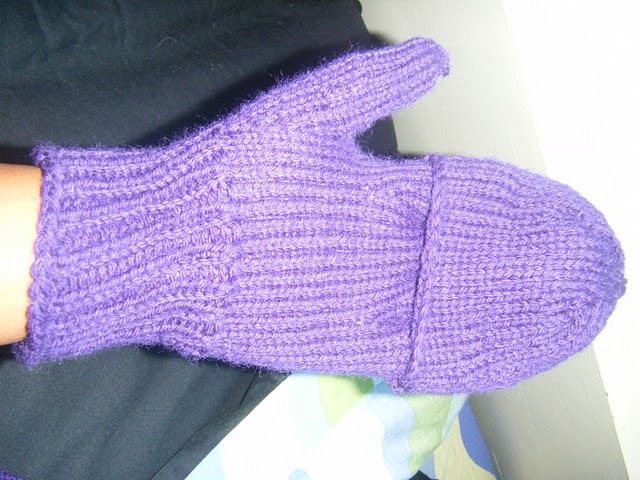 The second pair came about because I had this skein of royal purple that I loved and felt would look great as glittens! 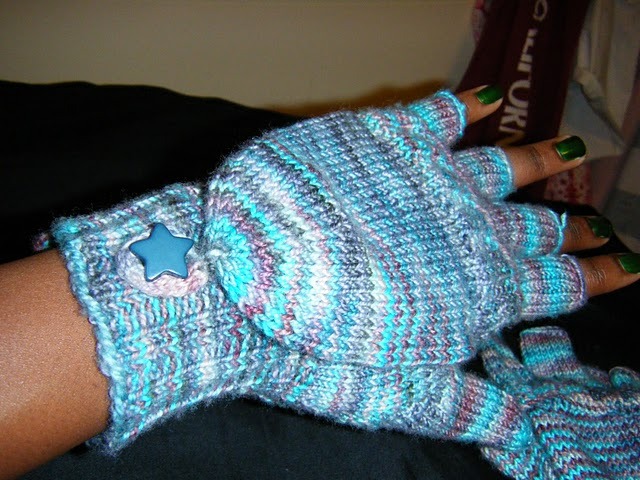 I’ve made two pairs because I am a firm believer that glittens are absolutely essential during the cold months! 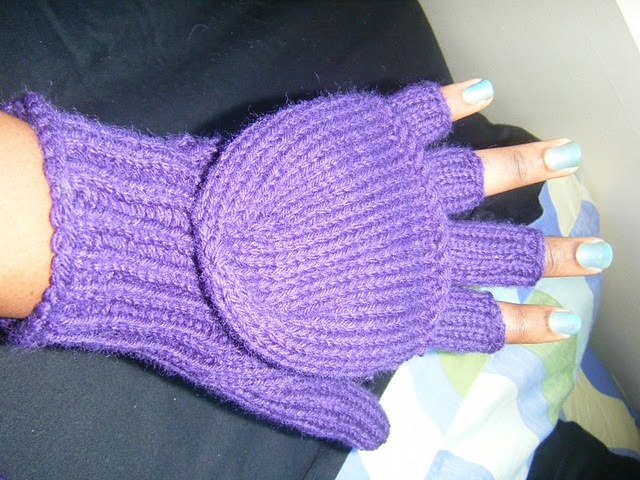 They keep my hands warm (especially the second pair, which are really thick!) while also allowing me to use my fingers when needed. Do any of you own a pair of glittens, or do you call them something else?